Beechwood | Middle resistance | 130 gr. Mahogany | Light resistance | 125 gr. Beechwood | Heavy resistance | 140 gr. Horn-Crafts Made and played by professionals. 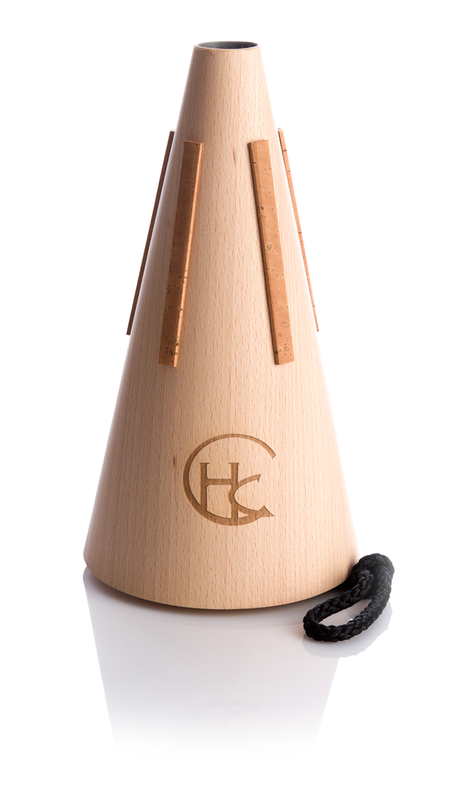 The horn mute is often required in the musical repertory, a prime example being Gustav Mahler’s Seventh Symphony. 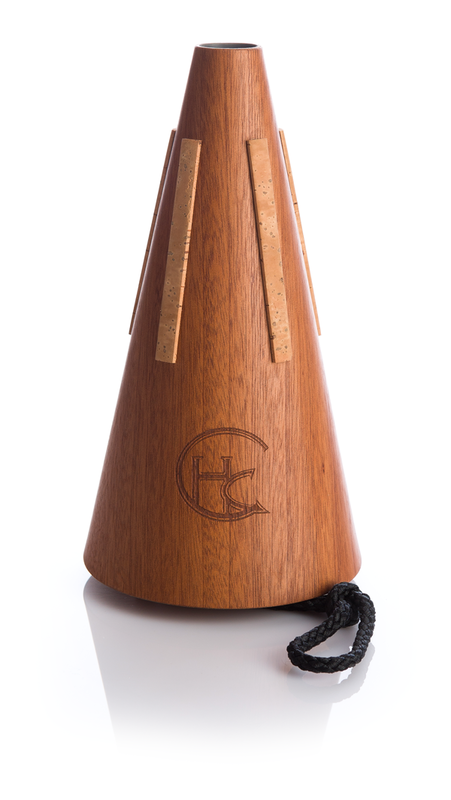 It is imperative to have a mute that offers good sound, intonation and a secure feeling. With mutes, the conversation often turns to resistance, because resistance often influences sound and intonation. The challenge in developing a good mute is to find the optimal balance of it’s attributes. Through cooperation with well-known professional hornists, it has been possible to build a mute that incorporates all of these qualities. Daniel Adam, Solo Horn Deutsche Oper Berlin. I want to buy a mute. How do I proceed?? Do the mutes have cords for quick changes?? A viscose rope cord is attached to the bottom plate for quick changes and easy handling in general. What is the shipping time of the mutes?? We usually ship within 24 hours, and depending on your location you will have your french horn mute within 3 days. Do the mutes fit in all brands of horns?? We guarantee that our mutes will fit in any bell, or you can return it for your money back. We love hearing from you. Please contact us by mail info@horn-crafts.com or drop us a line by using the contact form.